You must make reservations at least 5 minutes in advance of the time at Yank Sing - Rincon Center. On weekdays validated parking is available for the first two hours at a cost of $4.00. On weekends and holidays validated parking is available for the first three hours and is complimentary. BART, MUNI and the Ferry Building are all a short walk. Yank Sing at Rincon Center is a casual Cantonese restaurant that serves a wide variety of authentic dim sums. The restaurant is also popular for its wide selection of vegetarian dishes. The ambiance at Yank Sing is simple and features classic Chinese decor elements throughout the dining room. Its atmosphere is relaxed and family friendly. The restaurant also offers a full-service bar with an extensive variety of drinks for guests to choose from. The dim sum menu at Yank Sing offers a range of varying flavors. 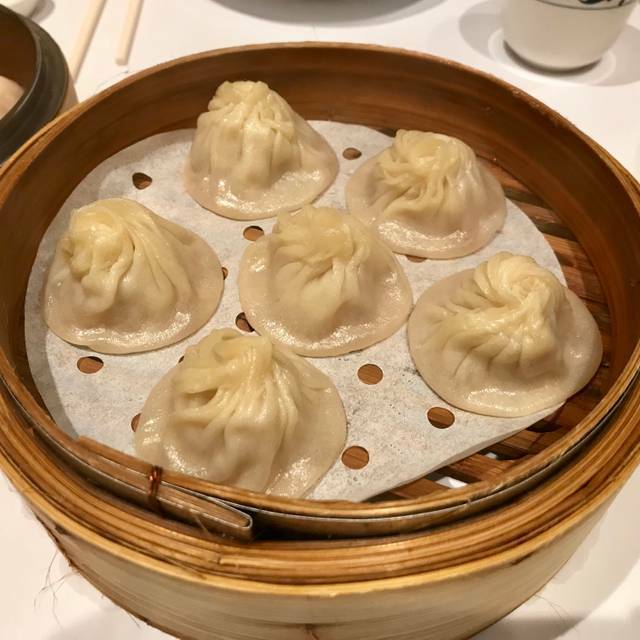 Try the signature Shanghai Kurobuta pork dumpling, the spinach dumpling with water chestnuts or pork siu mye with hand-chopped shrimp and pork filling. The restaurant also offers a variety of dishes, including Peking duck served with julienned scallions and tangy hoisin sauce and Szechuan chicken. End the meal with a sweet dessert like the house special mango pudding, egg custard tart or sesame ball. A Yank Sing signature dish of minced Kurobuta Pork, scallion and ginger wrapped and steamed in its own aromatic broth. Translucent bonnets stuffed with a filling of chopped snow pea tendrils, straw mushrooms and a hint of ginger, garlic and sesame oil. A fresh herb filling of hand-chopped, chives, cilantro, and shrimp stuffed in translucent 'three-cornered-hat' dumplings. Steamed translucent crescent dumplings filled with a tasty wok-cooked hand-chopped chicken, shiitake mushroom, winter bamboo shoots, and cilantro-flavored stuffing. Steamed lotus leaf parcel filled with glutinous (sticky) rice, lumps of lop cheung (Chinese sausage ), shiitake mushrooms, chicken cubes, and sun-dried shrimp. Frizzled-topped pouch stuffed with a savory mild-curried vegetarian filling of rare Sichuan bamboo mushroom, cabbage, bamboo shoots, carrots, sun-dried bean curd sticks and gingko nuts. Hand-chopped shrimp embedded with crunchy bits of sweet winter bamboo shoot tips and fashioned into a bonnet. Crunchy shrimp, winter bamboo shoot tips, and cilantro stuffed in a hand- wrapped translucent goldfish-shaped dumpling. Cantonese spring rolls filled with a wok-cooked mixture of hand-cut julienned chicken, minced black mushrooms, cabbage, winter bamboo shoot tips and scallions. classic whole plump shrimp, with a shrimp mousse croquette encasing, lightly battered and deep-fried until golden brown; served with a sweet and sour dipping sauce. a crispy plump prawn skewered on a scallion stalk with sweet potato and tied with a strip of lean bacon. 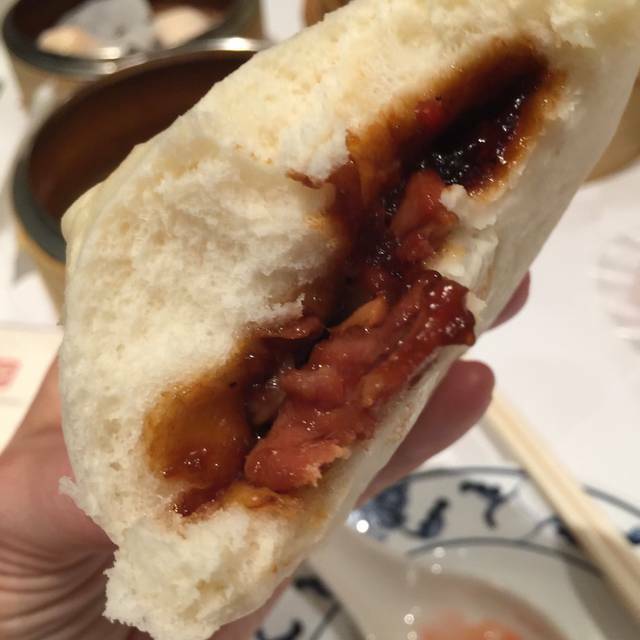 A Yank Sing Signature dish, house-roasted Peking Duck served as a deem sum appetizer, Crispy paper thin honey-coated skin and tender slices of succulent meat stuffed in a steamed seashell bun, accompanied with finely slivered scallions and smears of tangy hoisin sauce. Warm fluffy bread buns stuffed with nuggets of honey-glazed BBQ pork. Northern style dumplings filled with a succulent finely minced pork, cabbage, scallions, ginger, and toasted sesame oil stuffing, steamed in a wok, then shallow- pan-fried, and served with vinegar, soy sauce and Yank Sing Chili Pepper Sauce. Light and fluffy crab and shrimp mousse croquette encasing a whole snow crab claw, deep-fried until golden brown. Yank Sing signature crispy won ton stuffed with a mild curry shrimp and cream cheese filling accompanied with sweet and tangy dipping sauce. Warm oven-baked velvety smooth and sweet egg custard in flaky pastry tart shell. Fragrant and light creamy gelatin of golden ripe mango, served chilled. Light sticky rice-flour balls stuffed with sweet yellow bean puree, rolled in sesame seeds deep-fried until golden brown and crusty. Family of four seated on time. Drink order taken. Food was delivered in timely fashion until about 30 minutes into the meal. No one returned when drinks were empty. Food came about 15 minutes later again. We completed our meal and then it took another twenty minutes to pay our bill. The restaurant was not busy as it usually is especially for a Sunday. We have eaten here a number of times and never had this type of service. We will go back again as the food is very good. It was great as usual! Extremely attentive service. Fantastic food. Thoroughly enjoyed. Food was excellent as was the service . Always a little pricey but worth it for a special occasion. Always the best! Food delicious as always and a great setting at the old post office. We took my parents that were visiting out for dim sum. We all had an amazing time with good food, service and ambiance. Nice nice family lunch with my parents. They are still talking about it. Yank Sing's food deserves its lofty reputation. However, the price of a meal for two is OUT OF CONTROL. Given the expanded seating area (atrium), the service was difficult but they did a good job. Because of the location of our table, the food was never delivered "hot" as it could have been had we been inside the restaurant. The Stevenson location is much better, but service must be improved. Wonderful dim sum but come a little later for the brunch not right when it opens. A lot more variety comes out on the carts later on. Yank Sing remains the BEST dim sum restaurant in San Francisco, which it always has been as far as my husband and I are concerned. The food is always fresh and delicious, it comes out of the kitchen on rolling trays often enough one shouldn't be wanting for food, the tea they serve in their glass teapot is the best tea bar none as far as we can tell, and their special menu items are excellent. It is a very busy place, so sometimes it is hard to catch the eye of a waiter to place a menu order (not pulling from the rolling trays), but the wait is worth it. We love their sea bass (SO very tender it melts in your mouth), chow mein, green beans, pot stickers, sliced pork, chasu bao, and the two best salads anywhere...red cabbage with walnuts, and candied prawns and walnuts. You cannot go wrong at Yank Sing, there are so many choices. However, I would suggest eating inside the restaurant and not out in the foyer. 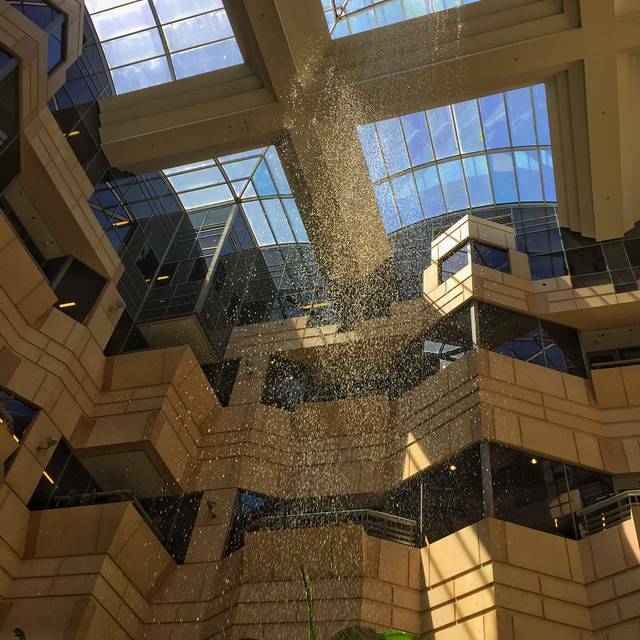 The noise level in the foyer can be deafening. Reservations are an absolute MUST. Yes, but, I found the staff all seemed out of sorts. It is as if they were just going through the motions, were unhappy, and maybe underpaid. The food was very good. The rang and choice excellent and the seating fine. The noise was too much for old ears, so I recommend people over 50 go after rush lunch or before it. So too for dinner. Yank Sing prepares some of the most delicious dim sum that I’ve had in years. 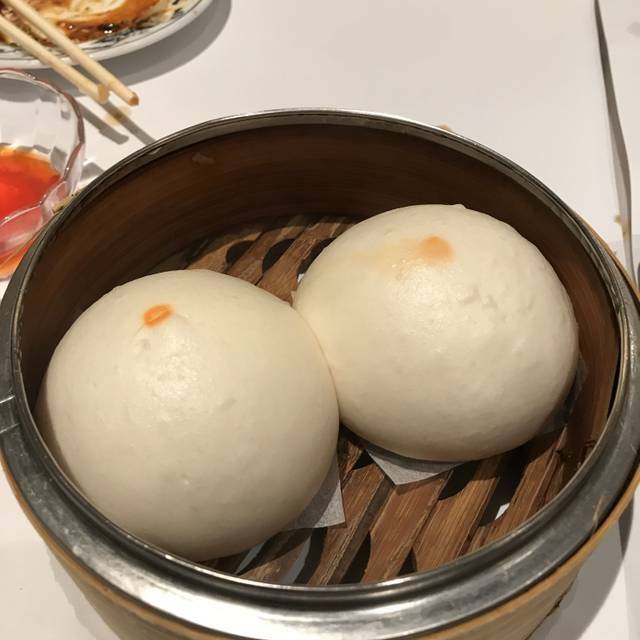 They are more expensive then other dim sum restaurants, but the food quality justifies the high price for special occasions. The ratio of wrapper to filling of their potstickers is the best that I have ever seen with the thinnest skin and largest proportion of meat and vegetables possible. We also ordered a red cabbage salad with honey walnuts that was simply delicious — bright and refreshing. Their egg custard tart is the best I’ve had in years. The manager retrieved four for us from the kitchen that were fresh. The buttery pastry crust literally dissolved on my tongue while I enjoyed the yellow custard filling. I took a friend here for her birthday, so I did not mind the high price, especially because the food and company were so good. I highly recommend Yank Sing at Rincon Center. Yank Sing is always my go to Deem Sum restaurant whenever friends come to town. Wish prices were not quite as high but the quality speaks for itself, but really charging that much for tea is a bit much!!! Yank Sing has the highest quality deem sum. It is never greasy (even the fried things), has lots of vegetarian options, and is always super-fresh and tasty. The wrappers on the steamed items are never heavy. The service is excellent. 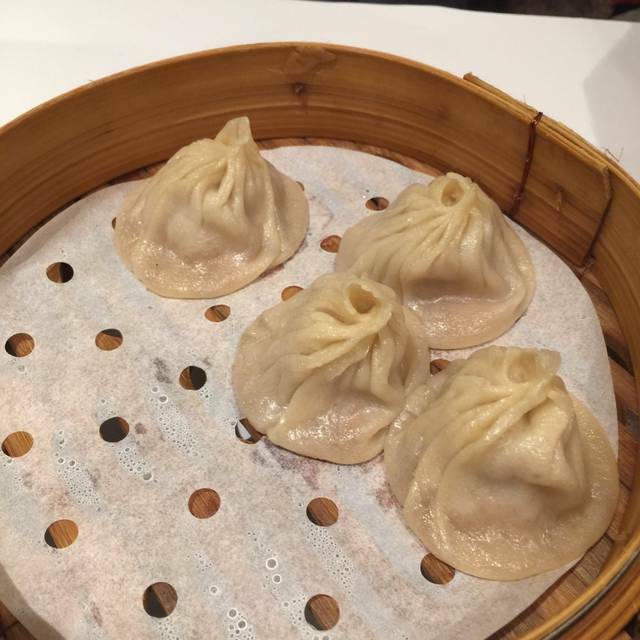 This time we had 6 and 8 year olds with us and I asked the host to bring potstickers and pork bao buns right away because the kids were starving. They arrived even before the water and tea! I’ve been to Yank Sing many times over the past several decades, but my last visit was the best — the dim sum was so fresh, so flavorful, and so stunning on the plate! 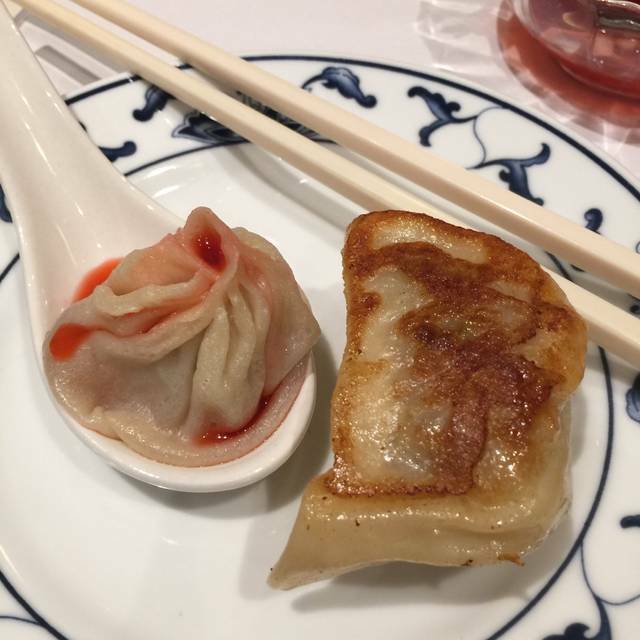 Best place for Dim Sum in SFO or bay area! Started go there on Battery St over 20 years ago. When you make a reservation through Open Table you don't expect to get the worst seat in the house. Great dim sum in a restaurant that has been around for years. Quality of food is amazing. Carts go through frequently with a tremendous variety of food. Only complaint is proximity of neighboring tables. Definite infringement on personal space. I had made a reservation for our small group. We checked in at 12:00 the time of our reservation and was seated by 12:04. We had our first dish of delicious dim sum by 12:06 and then had a relaxed meal over the next 90 minutes. Every dish was beautifully prepared and presented. Yank Sing is more pricey than neighborhood dim sum joints in the Richmond but they are #1 and the food is always great. It is a large and very busy restaurant, but if you remember to pace yourself, you will leave happy, stuffed and planning your next visit. I have been eating at their various locations ever since I discovered them in the 90’s. yang sing is really good place for enjoying dim sum... nice fountain..and nice good view..
Best dim sum anywhere. Sea bass is fabulous. 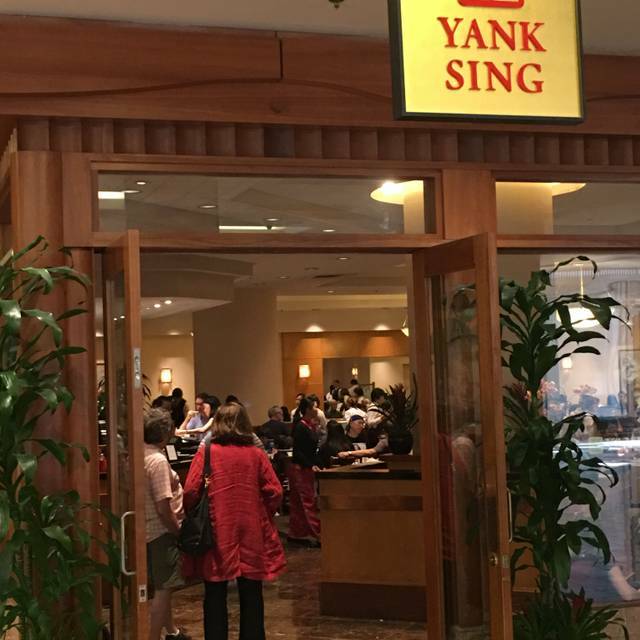 I have historically loved Yank Sing, but this was a disappointing experience. 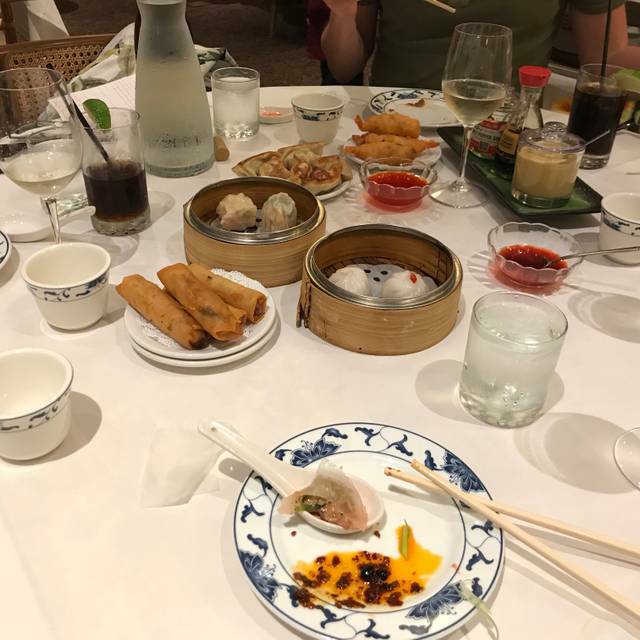 We scheduled lunch on the late side (2:00 p.m.) and the selection of dim sum was limited, few carts were moving around the restaurant and many of the carts clearly had leftovers from other carts. They should not schedule lunch until 4 unless they are actually going to serve to 4. We got rush out after an hour. Total bill was $98 for two people. Should have gone to a dim sum place in Chinatown or the Richmond. Would have spend less than have that for a much better meal. This was our first visit to the Rincon Center location; we usually go to the restaurant on Stevenson. The parking garage and free weekend parking with validation make this location is much more diner-friendly. We brought our kids for the first time, and they loved choosing items from the carts and all the variety. The food was delicious as always, and the service was efficient and pleasant. Good food as always. Maybe the best Dim Sum anywhere. Great variety of menu items. Visited Yank Sing with out of town guests. 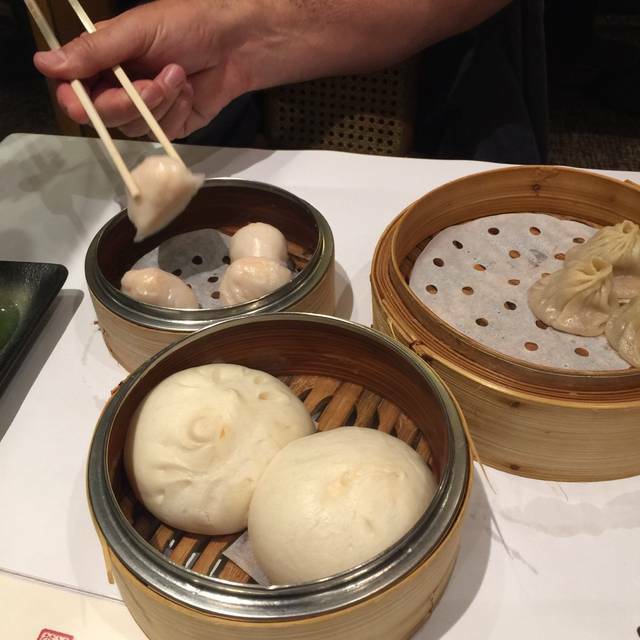 The dim sum experience was an unusual experience for my guests, and was enjoyed immensely. The food, service and friendliness were great, as always. Do not go to if you need to be seated at the time you reserved. They just put me at the end of the list after I checked in and told me there were people ahead of me. Many of the dishes I had come to expect at yang sing were no longer offered. So the selection was limited and not very interesting. Has Yang Sing lost its touch? No sea bass? No shrimps wrapped with bacon? No soft shell crab?? Had reservations and checkin process was unorganized and chaotic. Very loud. super duper! can't be beat. Only negative was waiting 35 minutes when we had a reservation. It’s our favorite restaurant & my husband is a Michelin Star Chef. Highly recommended. You will not be disappointed. Our all-time favorite Dim Sum place to go. It was great with a large group of us (7) as we seem to have paced ourselves better. The food as always is amazing! NOT CHEAP! Be sure to make a reservation or the wait could be up to an hour plus! Service great always.....very noisy...so plan accordingly.